Heat Exchanger Gaskets | Valutech Inc.
Having the right tools for the job is always important, and the same goes for gaskets. Depending on the precise function of your exchangers, and the types of material sluicing through, you’ll want to make sure that the gaskets you purchase will be up to the task for as long as possible. Efficiency can’t take place without quality and when it comes to your Heat Exchanger, thinking about your gaskets is a great place to start. It might seem like a simple piece of rubber when you’re holding it in your hand, but the gaskets that go into your Plate Heat Exchangers are complex organic systems—the result of extensive performance testing and industrial research. A lot of work goes into the creation of gaskets—compositions are designed and calculated on a molecular level which affect everything from the elasticity to the colouring. Vulcanizing chemicals (like sulfur) allow substances to bind together, creating what’s known as cross-linked polymer. This allows the native rubber polymer to be combined with components that possess the qualities and elements you would associate with rubber gaskets, determining the value and worth of the composition. Fillers make up the strength of the rubber and give it form and rigidity while providing resistance to tension. Carbon black, a commonly used industrial filler, shares its black pigmentation with the rubber its used in. Anti-degradants fight against the natural aging of the rubber, working against compounds and atmospheric elements that would deteriorate the material over time. You only get out what you put in, and the same goes for rubber gaskets. Their chemical composition will determine their lifespan and ability to handle various media. 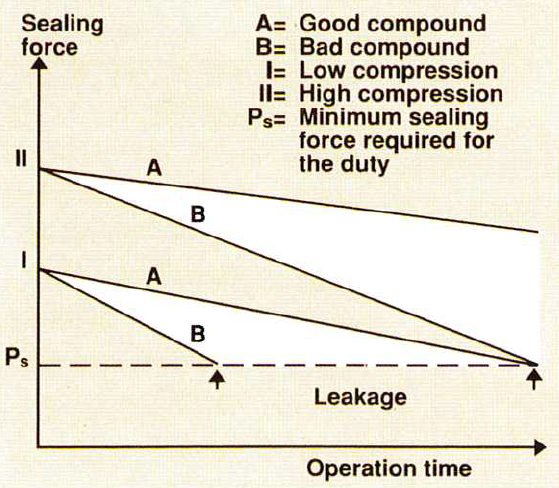 Furthermore, poor quality gaskets (or gaskets that are not proofed for the work) might falter depending on the operating temperature of the Plate Heat Exchanger. Take EPDM for example, a synthetic polymer. Commonly utilized in industrial processing, EPDM is known for its resistance of corrosive material and its ability to withstand higher temperatures. However, EPDM swells in reaction to oils—not something you want to have happening inside your plate pack! Certain variants of NBR (nitrile rubber) would be a more suitable choice if oil were coming into contact with the gaskets. Understanding the strengths and weaknesses of the wide variety of products available on the market makes all the difference. Investing in premium parts that have been rigorously tested means that you’re getting quality and reliability that you can depend on. 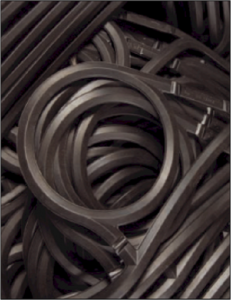 Viton® supplies two different types of gaskets, FKMT and FKMG. these are generally utilized in high-temperature, steam based applications. Viton gaskets are for use with stainless steel plates up to 180°C (356°F) and with titanium plates up to 100°C (212°F). NBR gaskets are are ideal for water-to-water applications in non-process related duties such as heat recovery and potable water applications. NBR gaskets can be used in temperatures up to 138°C (280°F). EPDM gaskets possess a notable resistance to water, steam, salt solutions, acids, and alkalies. They are generally used in water-to-water, high temperature applications. Below you’ll find a list of gasket makes and models, but if you don’t see exactly what you’re looking for, or feel you need a little bit of guidance, give us a call. We have specialists ready and able to help you!